Cinema Tower is already under construction at the corner of Adelaide and Widmer Streets in the heart of Toronto’s World Class Entertainment District. Built towards the LEED Certification Standard, Cinema Tower will offer a spectacular selection of suites ranging from studio to three bedroom designs and will be an iconic tribute to Toronto’s eclectic film, art and design world and a bold new addition to the city’s dynamic skyline. 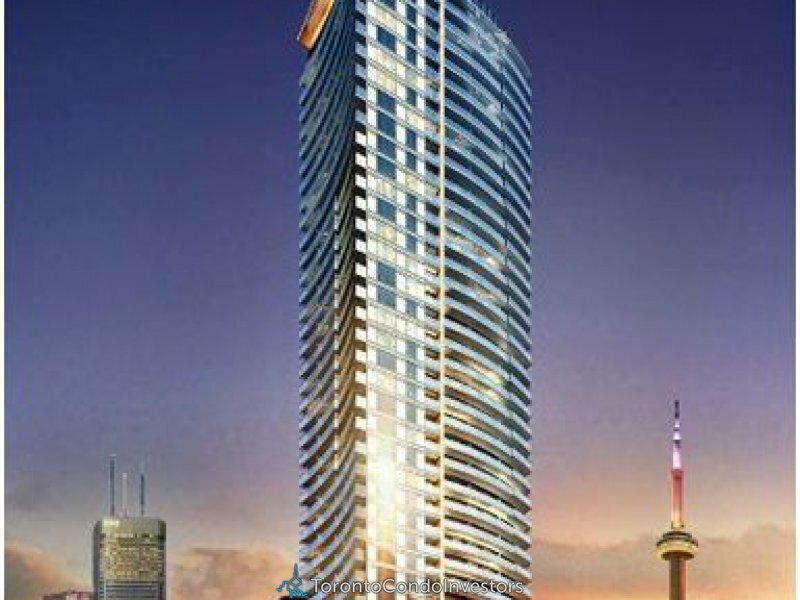 Cinema Tower is THE exclusive condominium partner of TIFF Bell Lightbox. Purchasers will receive an exclusive Programatic Interconnectivity Package to TIFF Bell Lightbox – perks of this package include – a three year membership to TIFF Bell Lightbox – including the opportunity to purchase tickets to the Toronto International Film Festival before the public, residents-only screening at TIFF Bell Lightbox with a special guest from the world of film in attendance and much more. Cinema Tower amenities include a private terraced lounge, a residents-only state-of-the-art screening room, a full-court, fully-equipped gymnasium and so much more. Unlike any other condominium in Toronto today, Cinema Tower will offer residents spectacular suite designs, sophisticated urban finishes, brilliant downtown amenities and an EXCLUSIVE ‘RESIDENTS-ONLY’ CONNECTION TO TIFF BELL LIGHTBOX. One of the most exciting things about purchasing at Cinema Tower will be the unique connection to the Toronto International Film Festival including membership to TIFF BELL LIGHTBOX and other perks and privileges not available to the general public.